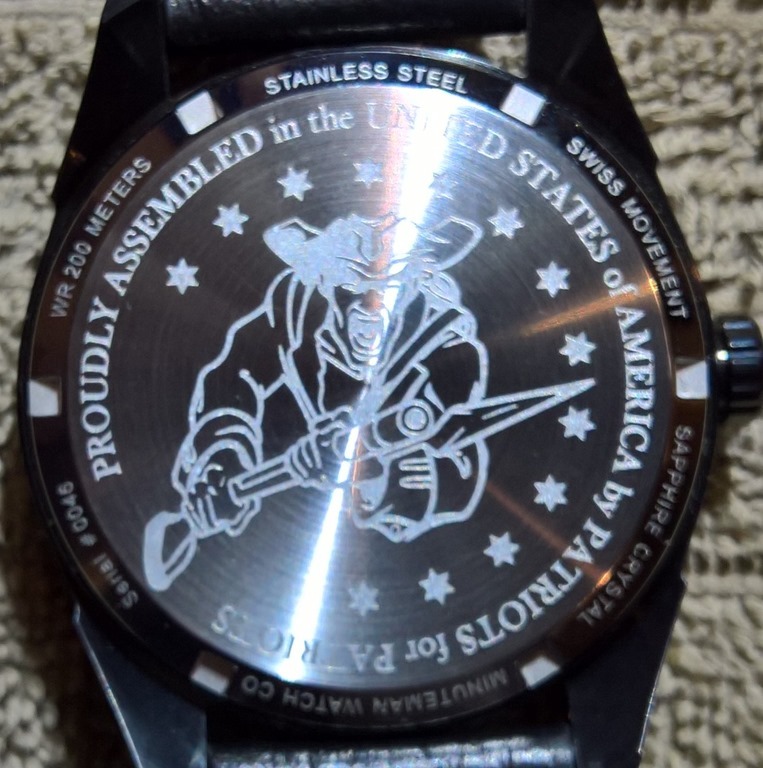 Back in early October 2015, The Jester, better known by his Twitter handle as @th3j35t3r, tweeted that Minuteman Watch Co. was considering a special Jester edition watch to add to their lineup of quality American Made wrist watches. Veteran owned Minuteman Watch Co. supports Veterans and their families by donating 25% of their net proceeds to Veteran charities each year. Fortunately for me, there was enough enthusiasm to convince Minuteman to move forward. 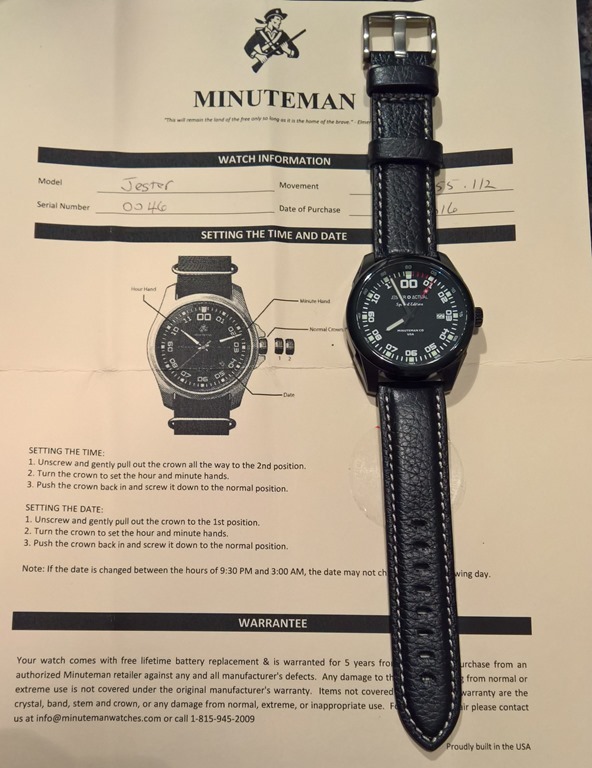 My pre-order was place on 10/28/15, and yesterday my very own, Serial Number 0046, Jester Actual Special Edition Minuteman Watch arrived in the mail. The 42mm wide watch came packed in a sturdy protective pouch. It’s crafted from stainless steel with a black PVD coating, and Swiss made movement on the inside. The attached leather strap is American made. And it’s water resistant to 200 meters. What’s not to like. But more important than all of that, I get to help Veterans while having the privilege to own a quality, very limited edition timepiece. 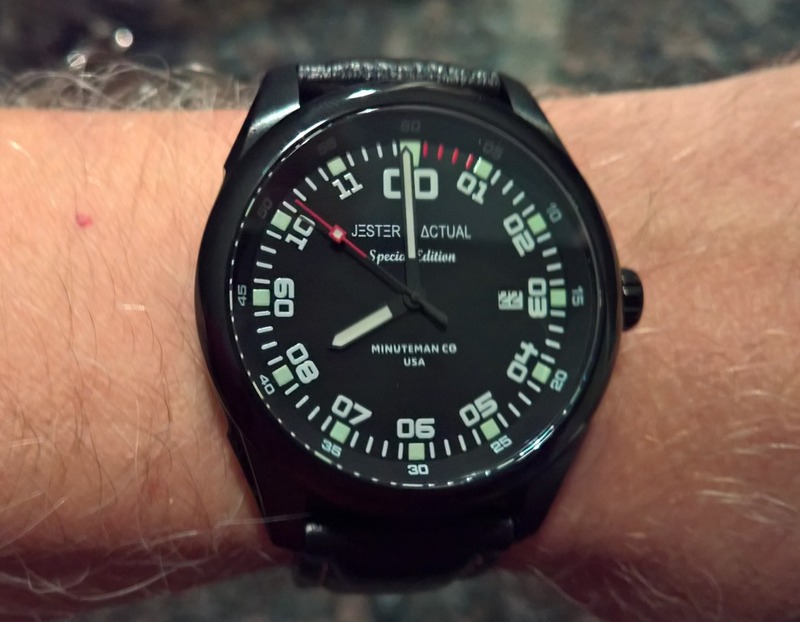 So thank you Minuteman Watch Co. and @th3j35t3r for making it all possible. Btw, if your looking for a gift idea, there are still some available. To learn more about the The Jester, you can visit Jester’s Court. And to find out if your email address has been part of a hacked website you can visit Jester’s Breach or Clear site with more than 269 million entries to date. You may be surprised what you find. Previous articlePesky neighbors with drones a problem? Get a Drone Catcher !